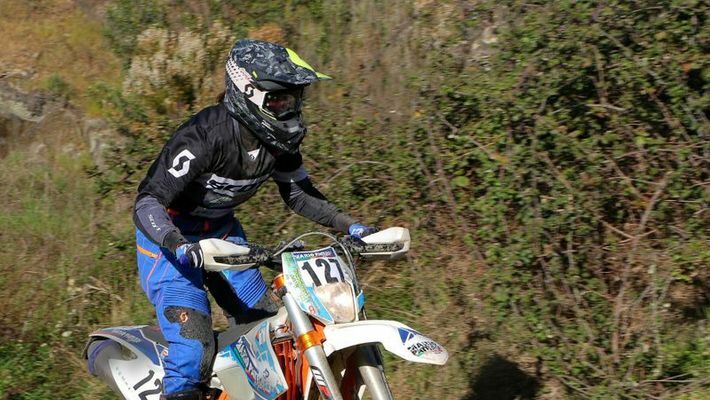 23-year-old Aishwarya Pissay, a biker from Bengaluru has grabbed the third spot in the women’s category of FIM Bajas World Cup that was conducted in Portugal. Proença-a-Nova (Portugal): Bengaluru’s Aishwarya Pissay, has secured the third spot and came up with a gritty performance to take the podium with a third-place finish in the women’s category as the Baja do Pinhal, the second round of the FIM Bajas World Cup concluded here on Sunday after the riders completed a gruelling course of 364.69 kms over two days. Bengaluru-based Aishwarya, a former Indian National girls racing and rally champion, finished 29th overall in the two-wheeler class, but was placed third and fourth in the women and junior categories, respectively. Aishwarya suffered a nerve-pull on her right hand on Saturday but that didn’t stop the biker from chasing the cup. The podium finish fetched her 15 points which took her World Cup tally to 40, following the 25 she received in the first round in Dubai, earlier this month. Speaking about her nerve injury, the biker said, “With the nerve strain on my hand, I couldn't push up my speeds and that affected my overall performance. I will continue to train and learn from this experience to be fully prepared for the Baja Aragon, the third round of the World Cup, in July 2019." Aishwarya’s hopes of a strong finish were dashed on Saturday when she suffered a nerve damage on her right hand which severely affected her pace but survived the long special stage of 191.27 kms. She further stated that she had problems using the throttle and it was because of that, that she could not have the pace that she wanted. “Otherwise, it was a good day of riding for me as I managed to finish the stage without any crashes. My performance could have been a lot better, but I hurt the nerve in my right hand forcing me to take it easy on the bike,” said Aishwarya who completed Sunday’s Special Stage of 173.42 Kms with a strapped right hand. Looking ahead to the next round, Aishwarya said, “With the experience and confidence I gained by completing the courses in Dubai and here, I hope to perform better in the third round in Aragon in July. I would like to thank by sponsors TVS Racing, Mountain Dew, Big Rock Dirtpark (Bengaluru), Scott Motorsports India for showing belief in me."